The Thermo International IS001 induction power supply was designed and built drawing on well over a combined 100 years of field experience with a vast range of Induction Power Supplies. This allows Thermo International the ability to leverage its knowledge base creating an extremely versatile system designed to work together. The Power supply can reach electrical efficiency ratings of over 95% combined with the advanced cooling path it reduces the total amount of water needed to cool the entire system. 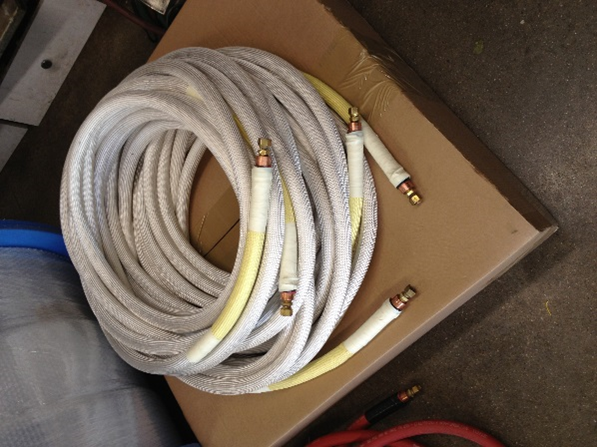 The output Coaxial cable has been designed to flow enough water for the highest Kilowatt load applications while maintaining its inherent safety. The Addition of the electrically insulated Rubber Boot makes the system versatile, portable and Ideal for bolt heating as well as most retaining rings up to 48” in diameter. Optional Wi-Fi and Smart phone connect as a backup display. The operator screen and the Process data screen are 2 of 10 basic screens for multiple sections and data logging of the machine and its functions. A key feature is the process data monitoring in real time. This allows an unskilled operator to relay vital voltages without actually being required to open a machine and measure in excess of 670 volts DC. Other notable screens are the “Distance Screen” that displays only the output power level and if the machine is running or in a fault condition. This screen is meant to be used during bolt heating where the operator is up to 30 foot away from the display. An additional screen covers the water temperature, flow and pressure switches within the machine. These can be bypassed on the screen with the use of a passcode. The operator no longer needs to enter the cabinet for basic trouble shooting or repairs. 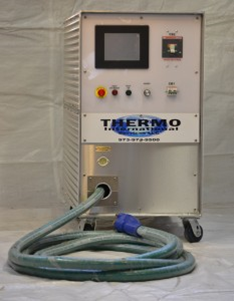 Thermo International also offers many accessories for the machine. These include coaxial cables, Thermo Flex induction leads in 3 sizes, bolt heating inductors, custom coils, field and master repair kits, remote pendants, temperature profilers, fitting accessory kits and more to suit any client’s needs. All of these components are built in house in our Flanders NJ facility. 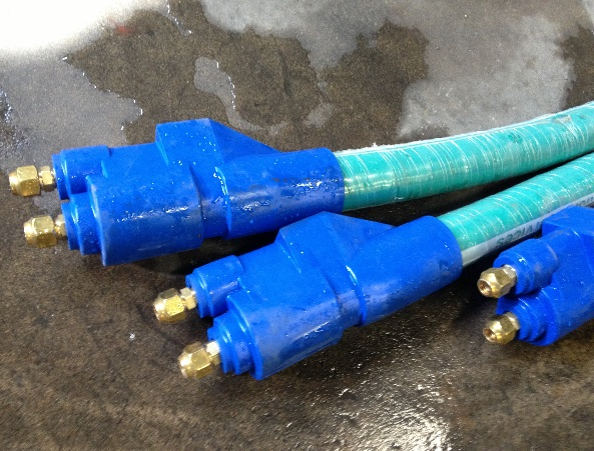 Machines can be purchased individually or in ready to use packages, the full package includes the Machine, Coaxial Cable, Fitting Accessory Kit, Water Hoses, Thermo-Flex Cable, 12 Wands, Inline Valve, Remote Stop Start Pendant and Manifold.